At Make Votes Matter we’re so focussed on the UK campaign for Proportional Representation that we don’t normally have the time (or money!) to travel. So I was delighted to be invited to Canada this summer to speak at an electoral reform event at the World Social Forum in Montréal. It seemed like a great opportunity to hear from leaders of other national campaigns for PR around the world, share information about Make Votes Matter and further build the Global Alliance for Real Democracy (GARD), which I co-founded earlier this year. I didn’t want our campaign to foot the cost of a trip across the Atlantic (nor could it) so I turned to friends and family for sponsorship to help cover the costs. I was overwhelmed by people’s generosity to help me build my dream of linking up all the movements for democracy - it seems I am not alone in my belief that united we are stronger, and together will achieve real democracy sooner. 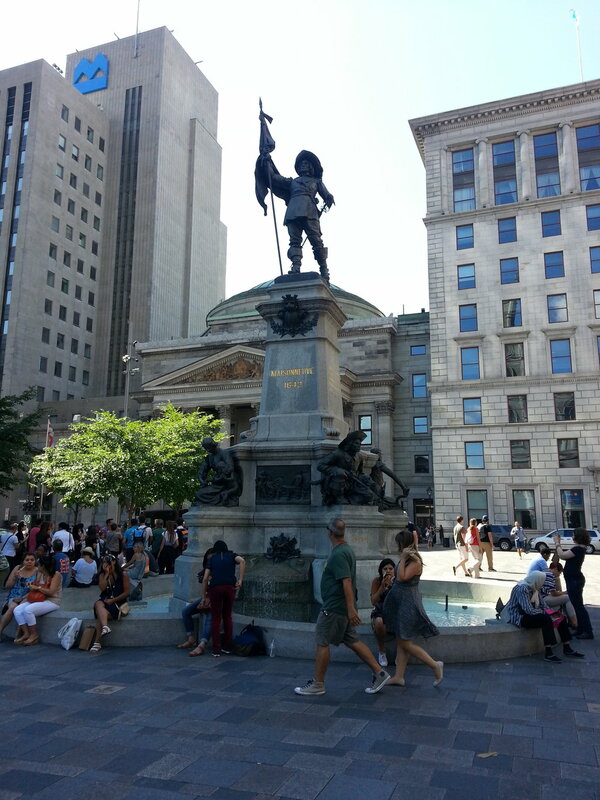 I’d like to share my Montréal experience with you... The city is great - beautiful, interesting and friendly. I stayed with a lovely lady called Geralyne who lives in a quiet suburb with lots of beautiful trees and community-created and -maintained flower beds. She has a lovely flat with two balconies and a little office where I felt very much at home working for the week. The room was almost full, the audience seemed engaged in what was an interesting discussion and overall the event went very well. The one issue was a technical difficulty when the organisers tried to Skype someone in, and unfortunately resulted in her not being able to speak - which made me even more glad I was able to be there in person. Meeting people face-to-face also meant that I was able to bring representatives of more countries into GARD, and I will be working to build that group into something more substantial over the coming weeks - I’ve already had one follow up Skype call with three of the other members to discuss how to take it forward, and we’ve made some exciting plans to share inspiration, information, best practice and resources with people working for the same cause around the world. Despite being incredibly tired from jetlag I stayed on after our talk for the following event on electoral reform, which was a more practical planning session for the activists who lead various local chapters of the Mouvement Démocratie Nouvelle (MDN), the group who organised the two events. This event was only in French and with my sleepy head I can’t claim to have followed all of it but it was very positive and practical! It’s a very exciting time for the Canadian campaign at the moment as the current government was elected with a manifesto promise to implement electoral reform before the next general election. There is a currently a Special Committee on Electoral Reform, ERRE, that is working to identify and conduct a study of viable alternative voting systems to replace the First Past the Post (FPTP) system, as well as to examine mandatory voting and online voting. So the Canadian electoral reform campaigns are in top gear, with lots of activity happening around the country, working to make sure the government does what was promised, and does it well. There’s a lot we can learn from their campaign as it is at a more advanced stage than ours, with everything happening now. It’s also the most important time for us to support them, as there is of course all sorts of negative propaganda in the media who are trying to prevent a move to PR, as it is not in many of their interests. Simply knowing that others are fighting a very similar fight, and knowing that we can offer mutual support, information and resources to each other when necessary, is incredibly valuable. After the events the organisers invited me to join them for drinks and dinner and, fortunately, I revived somewhat! We had a fantastic evening and talked a lot more about electoral reform - it’s amazing how many parallels there are between the different campaigns, particularly the UK and Canadian ones, which even share most of the same terminology. The Canadian team are lovely and great fun - so much so that we’ve now combined my two greatest passions - electoral reform and dance! We developed a global electoral reform dance and they’ve since filmed themselves doing it and sent me the video! Of course I had to reciprocate, so at the recent Green Party Conference a group of about forty of us filmed a version which I’ve shared back with our Canadian counterparts... Expect to hear (and see) more on the electoral reform dance soon! 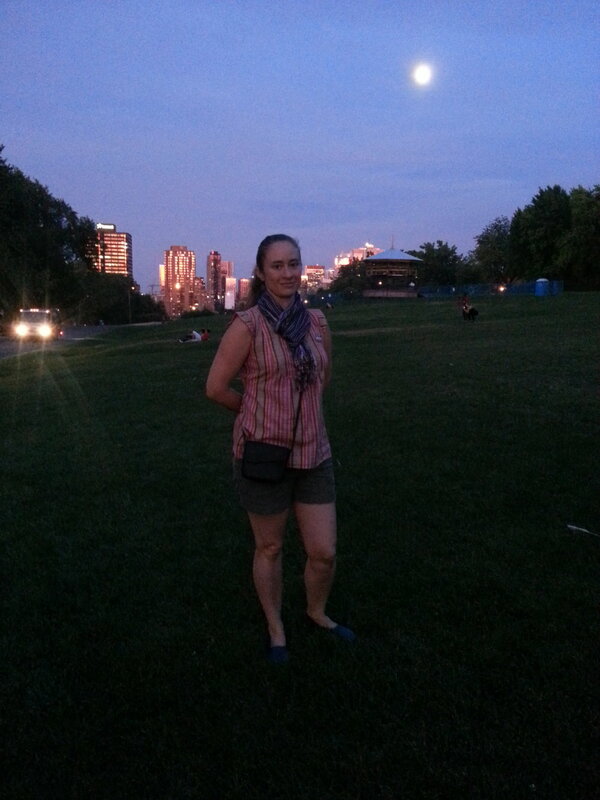 Other highlights of the trip included the compulsory tourist climb up Mount Royal, with my host Geralyne, and a solo visit to the harbour and old city on one of the city’s hire bikes (like London’s ‘Boris Bikes’ / ‘Sadiq Cycles’), which I squeezed in on my last day. I managed to get to a couple of non-electoral reform things in the World Social Forum (WSF) programme, including a fantastic panel debate with Naomi Klein called ‘Change the System, not the Climate’, and posed a relevant question about PR to the panelists at the end. I didn’t quite get the answer I was looking for, although the question got a cheer from the crowd (as happens surprisingly often whenever people ask about PR at public events in the UK!) and some interesting perspectives were raised. Clayton Thomas-Muller, a First Nations activist, responded by pointing out that many First Nations people don’t recognise the ‘Canadian’ government as having authority over them. They have their own sovereignty but in reality that sovereignty is not respected - and I believe that is linked to the problems with the current political system, which creates top-down minority rule, rather than allowing all perspectives to be heard and fostering collaboration and consensus. Tadzio Muller, a German activist, pointed out that they have PR in Germany and yet still don’t have a good enough democracy - which is of course true. PR doesn’t fix everything, but it is a big step on the way to having real democracy - it is the keystone which will enable us to create further democratic improvements. Majoritarian systems like FPTP have tremendously destructive effects globally, by enabling corporatocracy to flourish in key countries like the USA, UK, Australia, Canada and France. 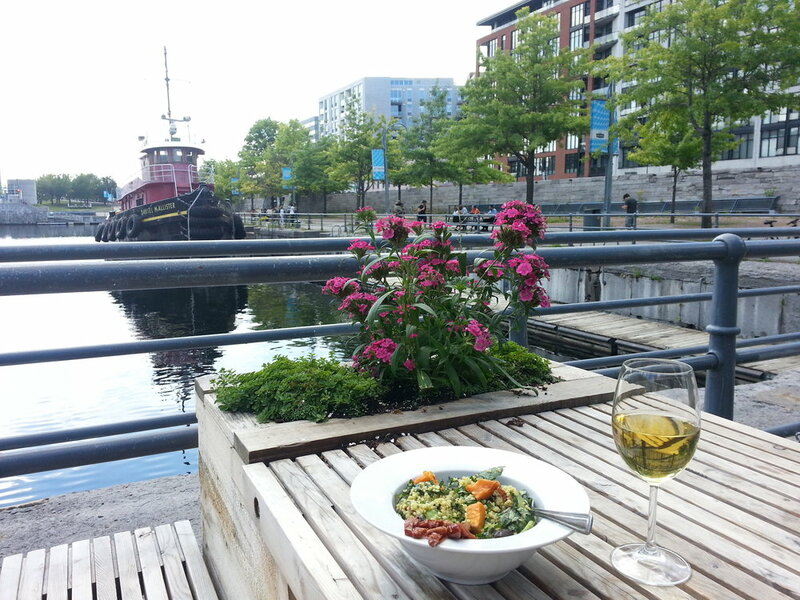 Moving back to more positive thoughts, I’d like to share some other fun parts of my Montréal experience with you. On the Saturday night I met Anne-Marie of MDN again and we had a lovely evening watching the open-air, headline musical performance of the WSF; the incredibly spellbinding Mexican singer-songwriter Mamselle Ruiz and her band. It had been raining heavily and was drizzly and grey during the performance which meant the crowd was quite small. While the final band were playing the rain started in earnest again so the band invited the remaining audience onto the stage, where we all sang and danced together! To warm up after Anne-Marie took me to a local bar to try Poutine, a Canadian dish of chips, gravy and cheese curds, with a maple whisky… and the conversation inevitably went back to electoral reform! Due to the torrential rain I didn’t explore as much as I’d have liked, but an advantage was getting more work done. Being stuck close to home also inspired Geralyne and I to go to a local independent cinema to watch a film, which was a fun, soggy adventure and we followed it with a cheap and cheerful local meal out. Fortunately we had lovely sunny weather for the final day of the WSF, which was in Parc Jarry. I met with my Swiss friend Yvan who is also a democracy worker, and we watched the closing ceremony. It was a very moving event in which a First Nations elder warmly welcomed a family of Syrian refugees to their new home in Canada, and invited them to take a pledge to cherish and care for the environment there. I do this work to get PR in the UK, and to build real democracy, because I know that without changing the political system we will not be able to take the necessary action on all the urgent environmental, social and economic issues we face. I am confident that this trip will prove to be a key part of achieving our goal, and as such was incredibly valuable.